We believe there's no better gift to give your wedding guests than the gift of chocolate. We work with brides and their planning helpers to create special favors for bridal showers, rehearsal dinners, and wedding receptions. We offer custom selections of chocolate in two, four and six piece boxes as well as solid chocolate nautical pieces. We'll work with you to make your vision of your big day come true - visit us in our Centerville store or give us a call! 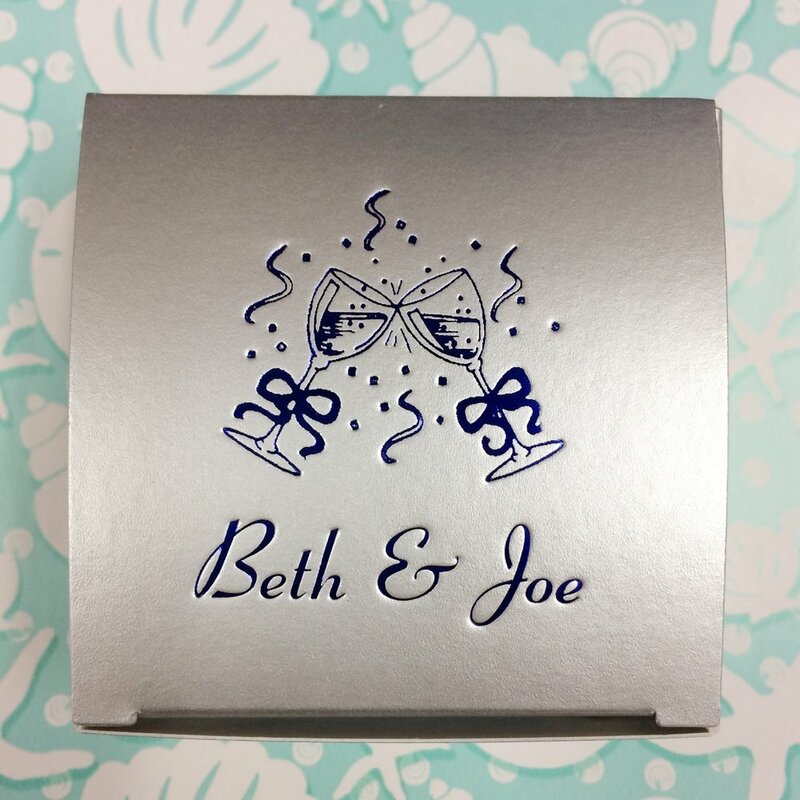 With a fun design on the cover of the box and a careful selection of their favorite creams, truffles and caramels, Beth and Joe delighted their closest family and friends at their rehearsal dinner with one of our custom 4-packs. This couple chose a nautical design for four solid chocolate pieces for a classic and refined look. With a mix of dark and milk chocolate, this combination is sure to be a crowd-pleaser. A simple (but generously sized) solid chocolate sand dollar was the perfect finish to the afternoon at Samantha's daytime bridal shower. The sheer ribbon provided an ethereal touch.